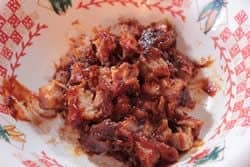 I don't know about you but I am always and forever cooking too much food (I can't stand a half empty smoker) and this presents a need to find ways to use up the leftovers. 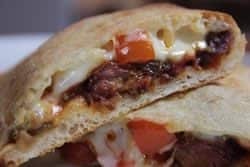 In doing this I have found numerous ways to use leftover smoked meat in regular everyday recipes such as the smoked baby back rib calzone in this weeks newsletter. 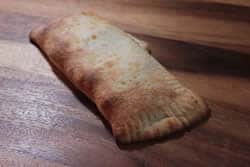 Calzone is simply a type of pizza that is folded in half before it is cooked in order to contain the filling. 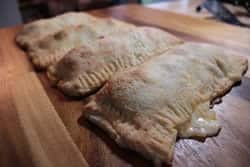 Calzone is so versatile and with the advent of ready made pizza crusts, it is virtually impossible to mess up and your family will love what you come up with no doubt. 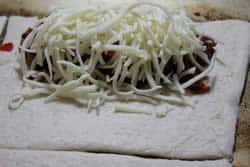 To make it easy, it's ok to use the canned pizza dough. There is no shame in that and if you happen to make your own pizza dough, that is great too. 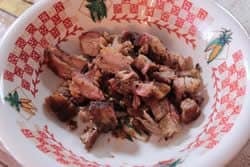 In this recipe, I used leftover smoked baby back rib meat, seasoned to perfection with my original rub (purchase recipe here), smoked with plenty of pecan and hickory, bones removed and then cut into small bite-sized pieces and mixed with just the right amount of my very own original rub and barbecue sauce (purchase recipe here). Baked in the oven until perfectly browned and I had a meal that I knew would excite the most picky of eaters. I gave my son the first bite when these came out of the oven and it was worth it all to hear him exclaim that it was the best thing he'd ever tasted. 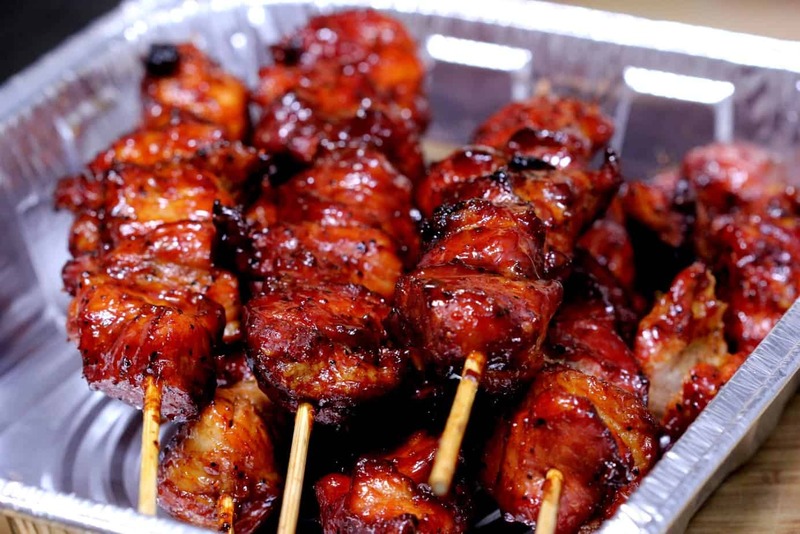 Use whatever smoked meat you have available to reproduce this recipe at your house and then let me know how it went! –remember that your imagination is the only limit! 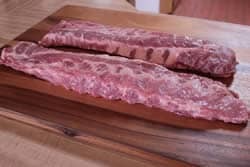 Remove baby backs from wrapping, rinse under cold water and lay them on the cutting board. I wanted them to fit into my foil pans so I cut each rack in half and removed the membrane on the bone side. 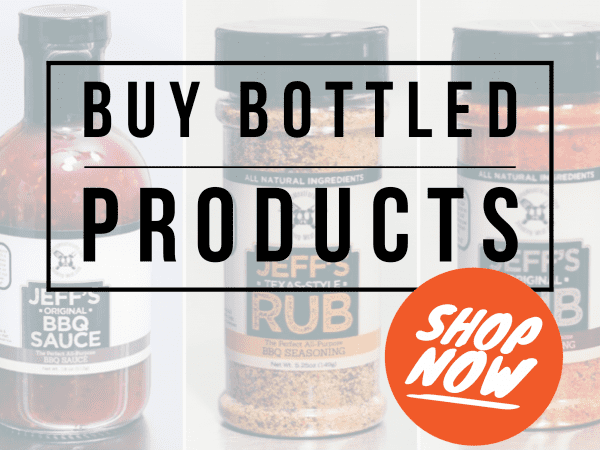 I usually use mustard to help the rub to stick.. it works great but you can also use vegetable oil, molasses, almost anything wet and sticky or nothing at all if you prefer. 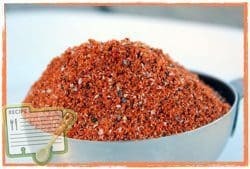 Apply my original rub (purchase recipe here) generously to top and bottom of the ribs and wait for them to get that “wet” look. 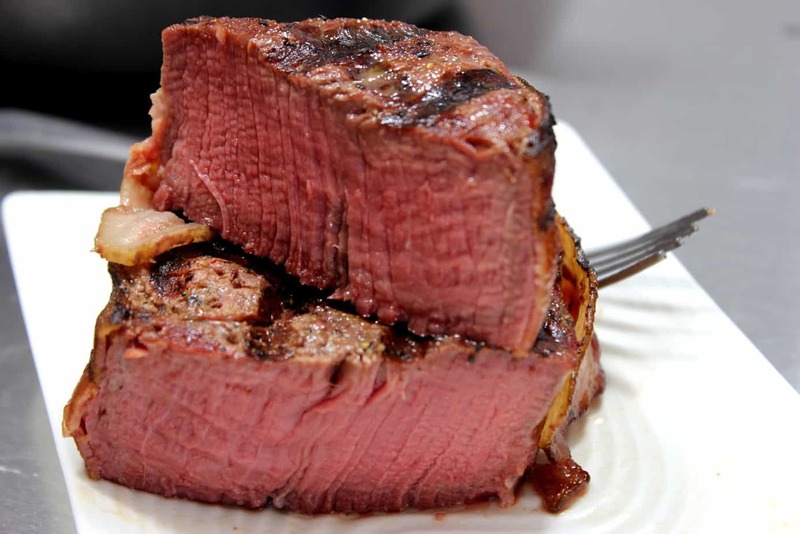 2 hours in an open pan or directly on the grate. Then..
2 hours wrapped in foil or in a foil covered pan with about 1/4 cup of apple juice or water in the bottom. Then.. 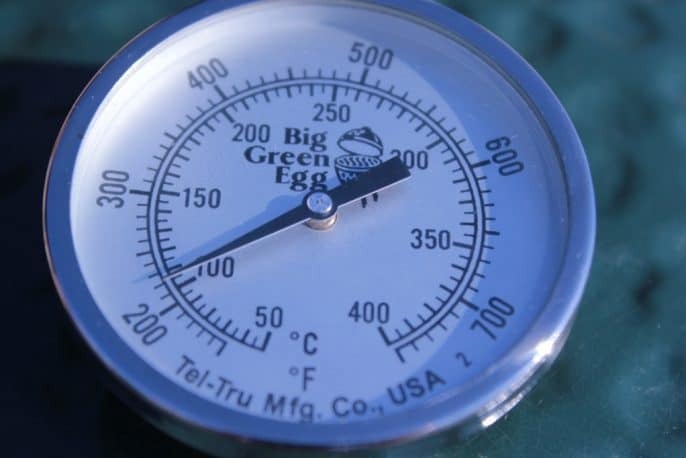 Apply 225-240°F heat the entire time. 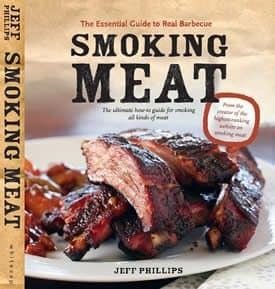 The smoke only need be applied during the first 2 hours. The picture below was at hour 4 as I was removing the foil cover from the pan. 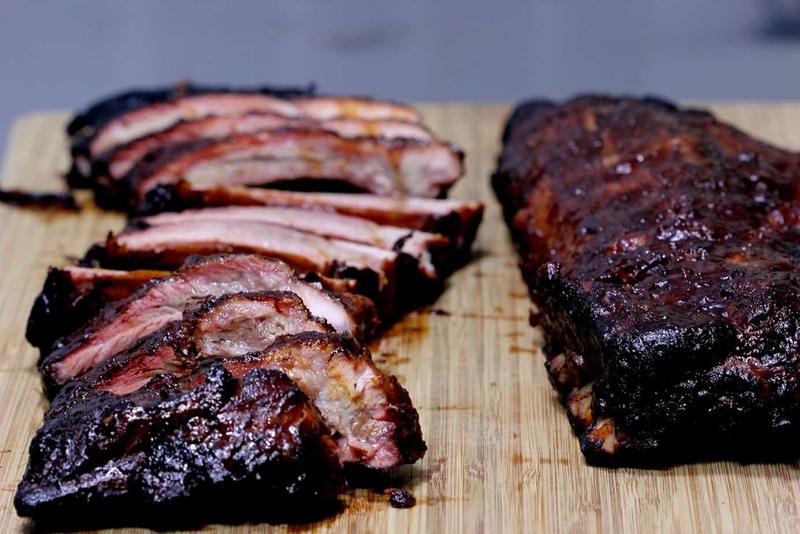 Once the ribs are done, place the ribs on a cutting board bone side up and remove the bones with your fingers. 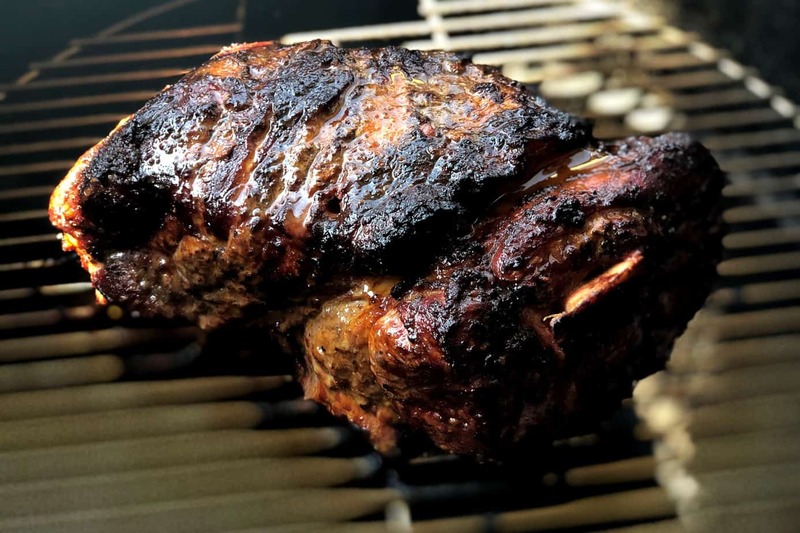 Note: There are usually a few small slivers of bone on the ends of the rack of ribs – make sure to get those as well. 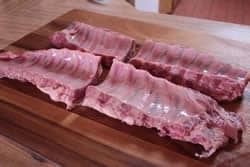 Use a sharp knife to slice the rib meat into small bite-sized pieces. 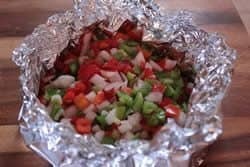 I recommend cooking the peppers and onions a little before using them to soften them. They will not have time to get soft inside the calzone. 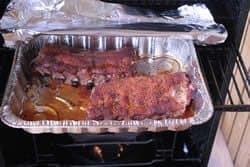 I made an open foil bowl for the mixture and placed them in the smoker at 225°F for about an hour while I cooked the ribs and they came out perfect and just slightly smoky. 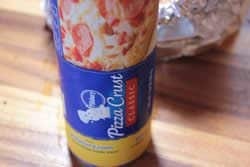 I was very impressed with the Pillsbury® brand of pizza dough. If you have another favorite brand of pizza dough or you make your own, that will work great. 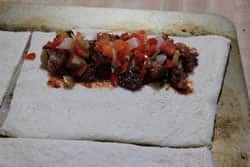 You are looking to press or roll the dough out to about 15 x 8 inches or so on a greased sheet pan. 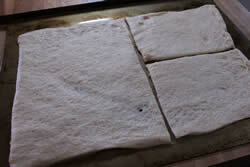 Cut the dough in half top to bottom and then side to side to create 4 calzone sized pieces. The picture below shows that I have made my first cut and then half of the second cut. 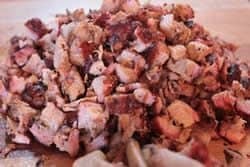 To get the meat ready to use, put some of the rib meat in a bowl..
Pour on some of my original rub (purchase recipe here)..
Add some of my original barbecue sauce (purchase recipe here) and mix it together. Place it one side of the long edge about 1/2 inch from the edges. 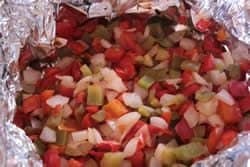 Add some cooked peppers and onions. Be generous with the cheese..in my opinion this makes the calzone. 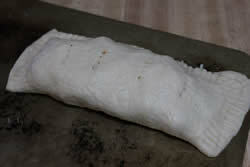 Fold the empty half over the top of the filled half and press the edges together on 3 sides with a fork to seal. Poke holes in the top with a fork to let some steam escape while it bakes. Preheat the oven to about 425°F and bake for 15-20 minutes but watch them closely and remove them when the desire level of golden brown is achieved. 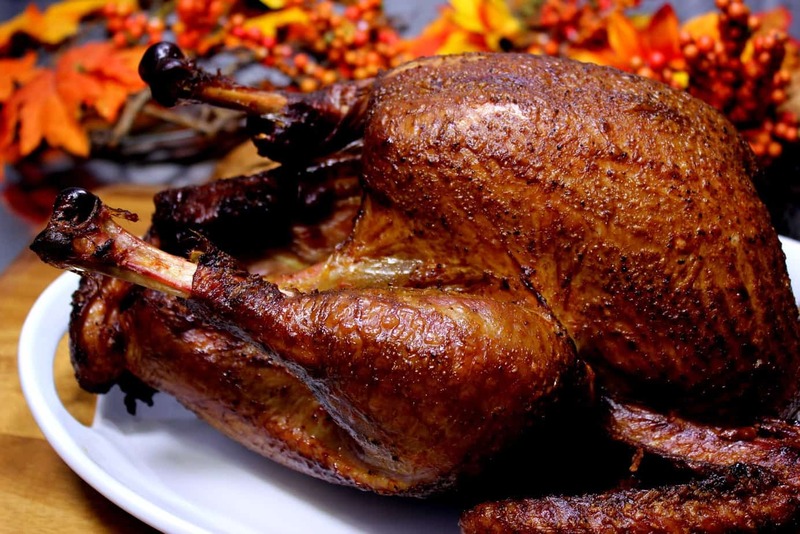 Tip: If you happen to have a ceramic cooker such as the Big Green Egg, you can use that as well to cook these to perfection. 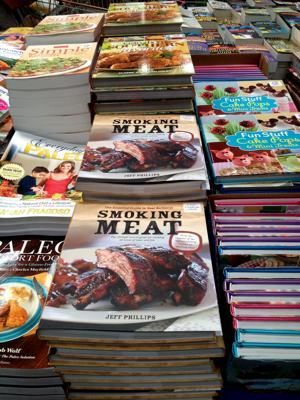 Are your rib rub and bbq sauce recipes in your book? Jeff, I love ya, man. But as you are a smoker enthusiast, I am a pizza enthusiast. 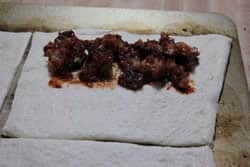 Telling people to buy refrigerated processed crappy pizza dough, is like telling people to boil their ribs and finish them quickly in the oven with some Lawry’s on it. Or something like that. Your recipe is fantastic, in essence. But please make your own pizza/calzone dough from scratch! 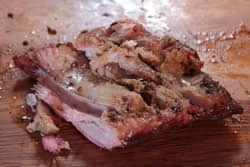 I tried some of your recipes on the Pelite smoker and they work fine. Like you said temperature is the thing. And time. 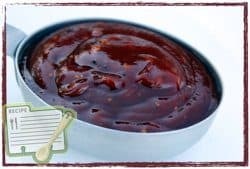 Jeff if you haven't already tried it, 1/2 BBQ sauce & 1/2 Pizza sauce is out of this world as a sauce for pizza & calzones. 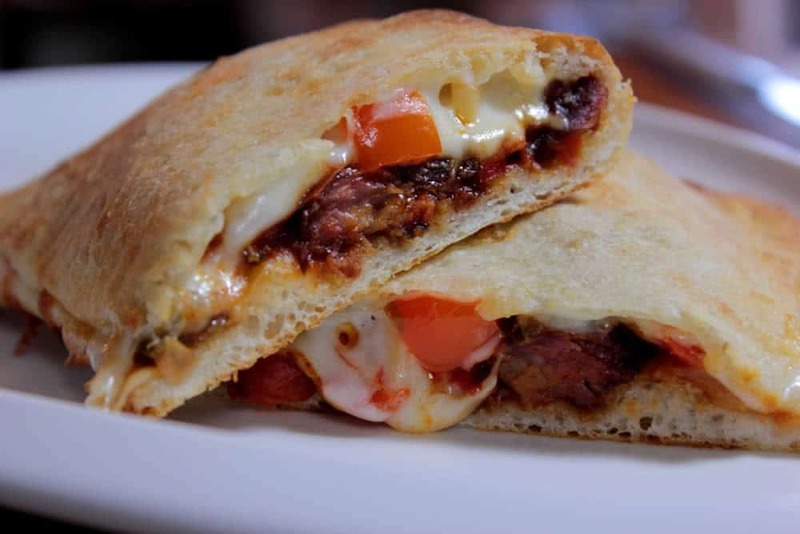 Baby back rib calzone? 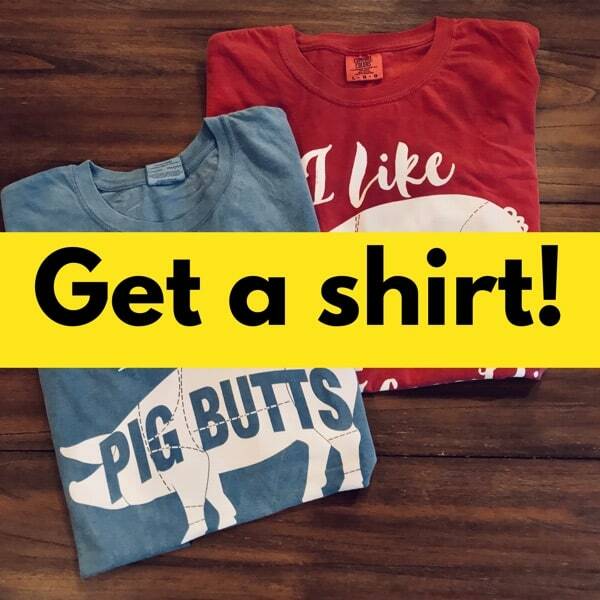 Man, I wish I had thought of that! Great idea and I can't wait to try your recipe. 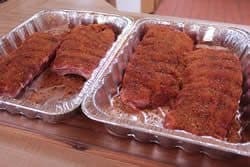 We did briskets and ribs last weekend for the local little league and I used your rub and sauce. Every one kept complimenting me on the flavor…thanks Jeff! 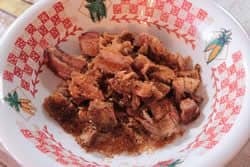 Maybe you've posted this in the past,but do you have any experience curing and smoking your own bacon? Any tips? 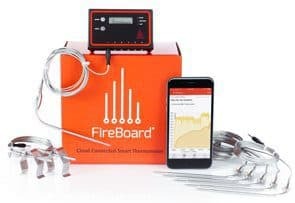 Me and my buddies have been wanting to attempt that for a while now and any advice you might have would be greatly appreciated. 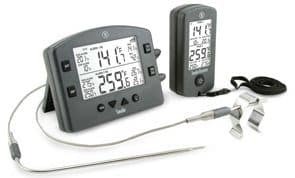 All of my instructions are intended to be generic meaning they are written to be used with any type of smoker whether gas, electric, charcoal or all wood. 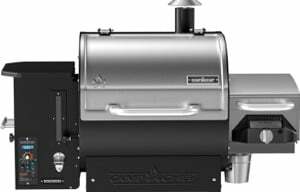 As long as you maintain the proper heat and apply smoke, the type of smoker you use becomes irrelevant.